Tinder blackmailer who swindled 12 women has been jailed. "It was just too easy." The horrifying way a Perth man blackmailed women on Tinder. A former Tasmanian football coach has been jailed for more than five years in WA after blackmailing 12 women out of almost $160,000 using threats, including distributing explicit photos online and burning down one victim’s house. 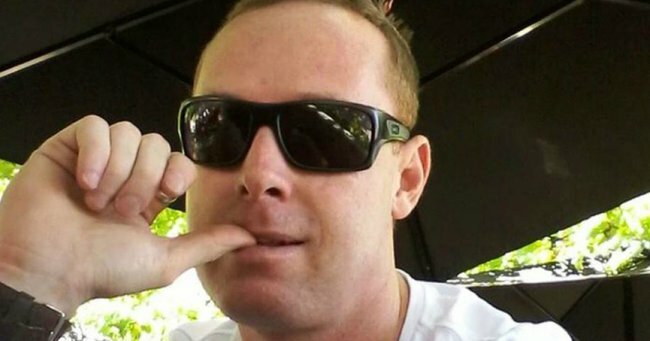 Leigh Abbot, 37, who rose through the ranks of the East Devonport Swans but fled to Perth owing debts to bikies, met most of his victims via dating and social media sites and initially used text messages to ask for help with things like rent. He then threatened them when they refused to keep giving him money, telling one woman he would send bikies to her home and work. One woman struggling to make ends meet and unable to pay her rent after giving Abbot cash felt intense shame when he said explicit images of her he’d posted online would “go viral” at the school where she worked, prompting her to warn her boss. He met one victim, aged 74, at a shopping centre and talked her into handing over $1700. Others were single mothers, including a woman who lost her entire savings of $110,560 and was terrified not just for herself but her children when he threatened to burn their house down. The WA District Court heard on Friday the blackmailing, which Abbot found “too easy”, paid for his gambling addiction and a $1000 per week addiction to cannabis and codeine. “He got to the point where the only way he could cope with the underlying guilt he was feeling was to self-medicate,” defence counsel Dave Ford said. But prosecutor Sinaed Purvis said Abbot was externalising gambling as the cause of his offending and was “a manipulative predator … to fund his lifestyle choices”. Judge Bruce Goetze agreed, saying Abbot used drugs to cope with distress from gambling losses. He could present as charming and pleasant, which convinced his victims to hand over cash. “You’ve preyed upon vulnerable women,” Judge Goetze said. “You betrayed their trust … and then you just brushed it all off by blaming your offending on your gambling and drug addiction. Judge Goetze ordered Abbot to pay compensation but noted it would be many years before his victims were paid back, if at all. Abbot was sentenced to five-and-a-half years jail and will be eligible for parole after serving three-and-a-half years.